After passing the 12th board exams in 2014, Vikas Kumar, of Madhepura in Bihar, took a year’s break to prepare for the engineering entrance exam. The hard work paid off and he managed to score high enough to qualify for admission to one of the prestigious National Institutes of Technology (NITs), where admission rates are as low as 1-2 percent of the applicants, making them only next in students’ preference to the IITs. He was first assigned a seat at NIT Agartala, in Tripura. But after two months there, he opted to shift to NIT Uttarakhand, since he thought he’d adjust better to a place where Hindi was spoken, like in his native Bihar. He now rues the decision. Strangely for a technical institution of national importance, some of the labs of NIT Uttarakhand are 300 metres away, down towards Rishikesh. Students have to attend lectures at the campus and walk along NH-7, choc-a-bloc with the traffic to the pilgrimage spots in the Himalayas, to reach the labs, situated on a plot of the local Industrial Training Institute (ITI). On October 3 last year, Neelam Meena, an electronics and electrical engineering student, was hit by a car and left paralysed below the chest. This set off a protest by students that continued till December, demanding that the campus be moved to a safer location. Meanwhile, advocate Abhijay Negi filed a PIL demanding an interim campus for students. On direction of the Uttarakhand high court, the union ministry of human resource development decided to move the campus to that of the Indian Drugs and Pharmaceuticals Ltd in Rishikesh. But the state government would not agree. Finally, it was decided to create a satellite campus, an odd coinage, for classes are held at the Malaviya National Institute of Technology – in Jaipur, Rajasthan! So now, some 700 students of NIT Uttarakhand (150 from first year courses, 280 from second year courses, and 270 from third year courses) actually live and attend classes in Jaipur. Later, studies were carried out by NIT Warangal and other technical institutions, but all of them gave the same verdict: Sumari was not suitable for having a technical educational institution. So the institution continued to function in Srinagar, which saw more problems. In the devastating cloudburst of 2013, some buildings on the ITI campus (where the NIT has some of its labs) went under water as the Alaknanda burst its banks. To this day, those buildings remain unused. During the same time, as if to underline the unsuitability of the proposed Sumari campus, iron fencing erected by the National Building Construction Corporation (NBCC) at a cost of Rs 13.27 crore collapsed. In October 2013, the union ministry of human resource development wrote the state government, asking for a new site for NIT Uttarakhand. But the government never made this request public. 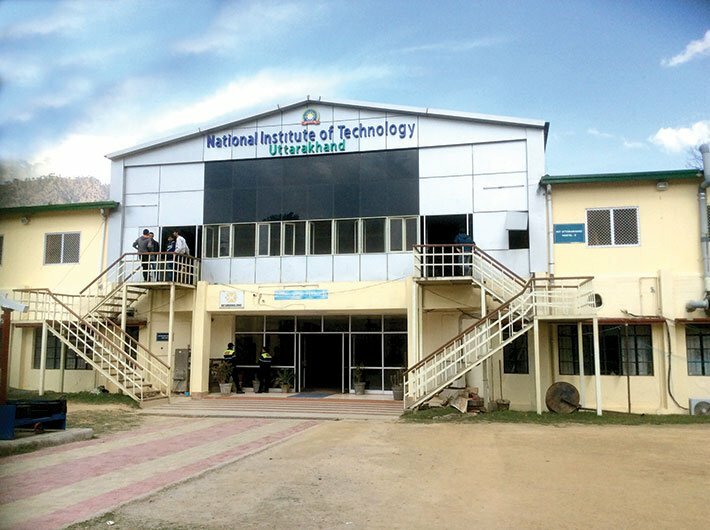 Instead, the then chief minister Harish Rawat went ahead and laid the foundation stone for the NIT in Sumari. The HRD ministry has written eight letters to the state government between 2013 and 2018, saying the Sumari site is unsuitable and, since there was little scope for expanding the Srinagar site into a full-fledged NIT, a new site should be allotted so that NIT Uttarakhand reaches its full potential. Meanwhile, the NBCC had gone to work, estimating the cost of building the NIT premises in Sumari. The first phase cost, for a campus that would accommodate 1,500 students, was estimated at Rs 315.75 crore for building work, and Rs 188.26 crore for site development. Later, this was revised: since the Sumari site was sloped, it would require terracing and erection of concrete retaining walls, taking the cost up to Rs 1,200 crore. In December 2017, the 11th finance committee meeting for NIT Uttarakhand was held, in which officials of the HRD ministry, NIT, and the additional secretary of Uttarakhand, again revised the estimate to Rs 1,415 crore, including the levelling. And if the campus were to accommodate 2,400 students, as it would have to over the years, the first phase of construction would cost Rs 2,350 crore. Soil stabilisation, they estimated, would cost an additional Rs 925 crore. These details were shared by an official of the HRD ministry who did not wish to be named. 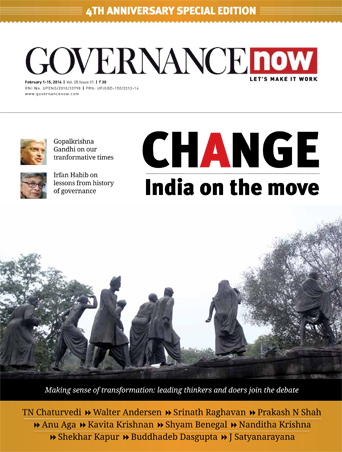 A tug-of-war is on between the HRD ministry and the state government. 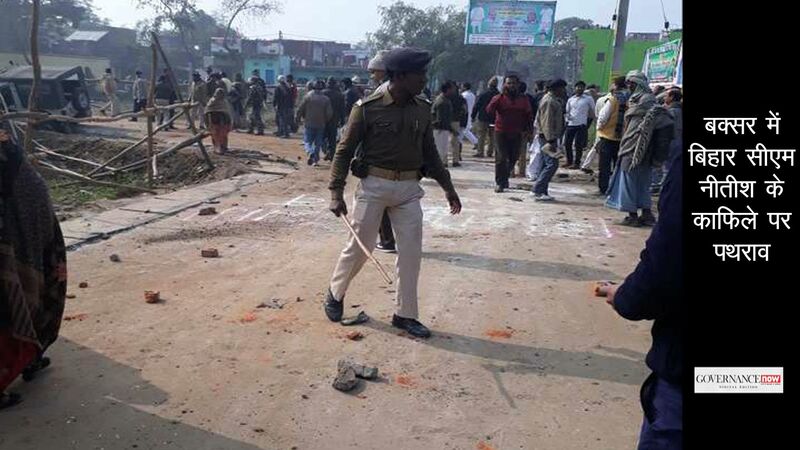 While the former wants a new site, given the unsuitability of the land and the high cost of building in Sumari, the state education minister, Dhan Singh Rawat, is unwilling to move the institution to some other place. At a press conference, he had said that the project aimed to improve the Garhwal region, so it could not be moved to the plains or to the Kumaon region. The Sikkim NIT, it might be noted, now runs from a temporary campus in Ravangla, in the South Sikkim district. A permanent campus is to come up in Khamdong, in the East Sikkim district, also hilly. However, it’s not known if there was any report on the unsuitability of the site (as in Sumari) for an engineering college. So although Uttarakhand now has an NIT in name, no one is happy. Not the students. Not the teachers. Not the locals. And not the villagers who gave up land in Sumari.